Specialised pressure care cushions can both prevent pressure damage, and help relieve specific points of discomfort, such as the coccyx. 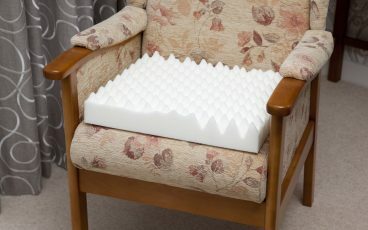 Pressure care cushions work by distributing pressure more evenly across the area. Materials include foam, gel or air. 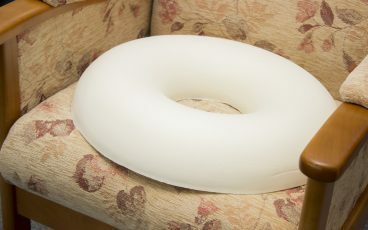 Latex foam ring that reduces pressure-related pain by distributing weight evenly. Effective for general pressure relief. Available in two thicknesses for standard or deluxe. 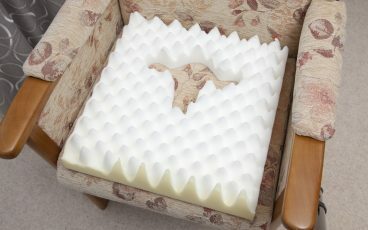 Foam cushion distributes pressure and reduces pain. Cut-out panel helps relieve pelvic pain. 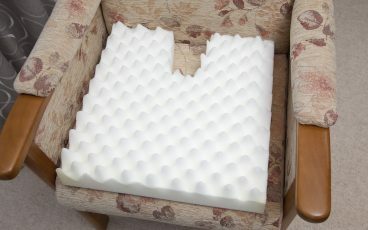 Integral pockets allow air to circulate and high foam peaks help distribute pressure evenly. 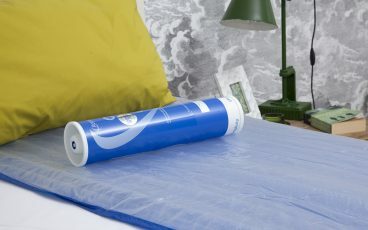 Suitable for users at low-medium risk of pressure damage. 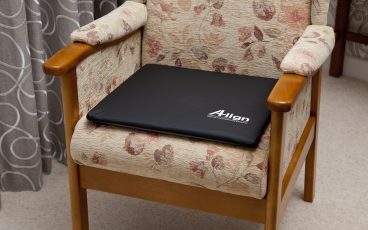 Air-inflated static cushion which offers clinically proven effectiveness in the prevention of pressure damage. 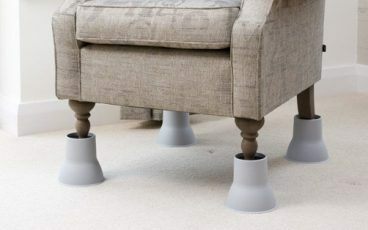 Easily raise the height of your armchair to make getting in and out of your seat easier. 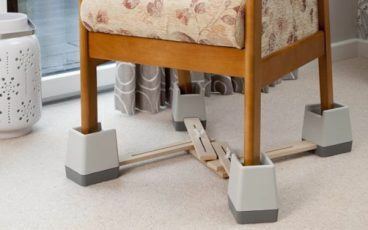 Height adjustable chair raisers with link and lock function for extra stability.